The Analyst Relations Forum on October 3rd was much more successful than I expected. 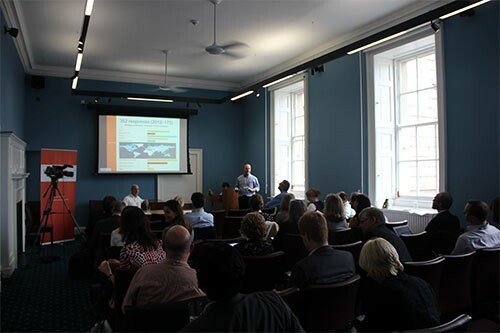 Forty of the most qualified analyst relations professionals from the US and Europe attended, with others joining online. – The keynote introduction by Yash Khanna from TCS. Yash was very brave to take on the challenge of the keynote, and produced a hugely impressive presentation to show how TCS has positioned itself as one of the four global leaders in the IT services market. – NelsonHall’s sponsorship of the book launch of Win Them Over. This is the third edition of Efrem Mallach’s landmark guide to analyst relations, and benefits from both a substantial updating and from an introduction by Ludovic Leforestier, and co-founder and central leader of the IIAR. – The Leaders’ Workshop the following day brought forward a trans-Atlantic group of AR leaders to drill down on three major collective challenges for the profession. In November we’ll be starting a series of regular calls and webinars to develop a common program of work to test out solutions to those challenges. Over the next few months we’ll be sharing slides, articles and recording arising from the event. To start the ball rolling, my presentation on the Analyst Value Survey is online at http://bit.ly/2013valuesurvey.